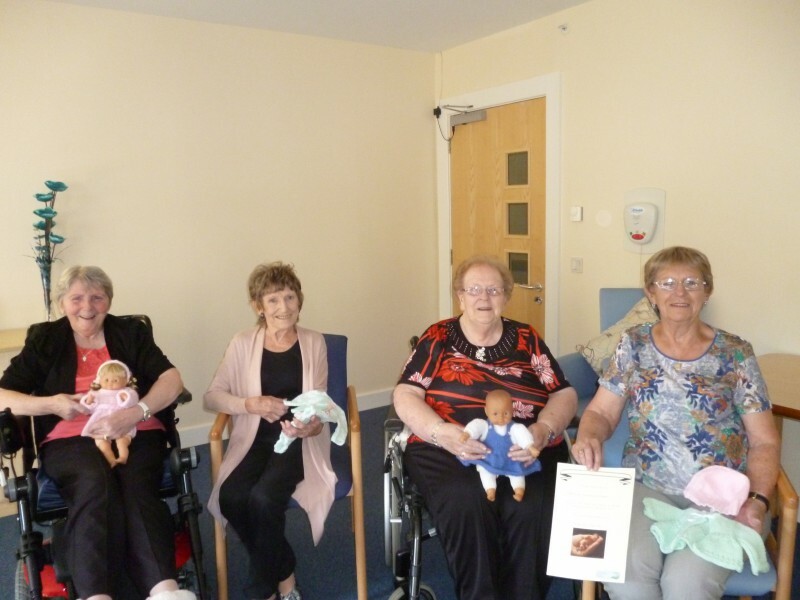 Tenants at Bield‘s Broomfield Gardens, a Very Sheltered Housing development in Airdrie, have sewn up a plan to help premature babies in their local hospital. Lifelong knitting enthusiast Isobelle Wood decided to start a knitting group with three other tenants at Broomfield Gardens – May Close, Carol Millar, Doreen Weir – as a means to get know others living in the development. Initially the women, all aged between 70-80, were knitting doll’s dresses and shoes for the Christmas raffle prizes. However a member of the community noticed the quality of the residents’ craft and suggested they knit woollen hats for premature babies at Wishaw General Hospital’s Neonatal Unit. And such has been their enthusiasm for the project, that the group have made more than 50 hats since they started in early August. Development Manager, Yvonne McQueen said: “The tenants at Broomfield Gardens are actively involved with several charitable organisations. They have a strong community spirit and like to give back to the local community. “At Bield, we like to encourage tenants to live independently by our ‘free to be’ ethos and this project is a fantastic example of our tenants doing exactly this and getting involved in something which is important to them. The group have received a letter of thanks and a certificate from Sheila Miller, Wishaw’s Neonatal Ward Manager to thank the ladies for their kind donation. The four ladies are continuing their delicate knits for the premature babies and intend to continue donating to the Neonatal Ward. Can our award winning agency help with your PR?